Assessment of Catechesis/Religious Education (ACRE) help school, parish and diocesan leaders evaluate the faith knowledge and attitudes of students in Catholic schools and parish-based religious programs. 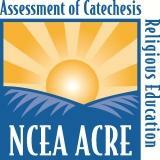 ACRE provides faith knowledge questions related to religious beliefs, attitudes, practices, and perceptions. It measures religious beliefs as it relates to God, the Church, Liturgy and Sacraments, Revelation, Life in Christ, Church History, Prayer/Religious Practices and Catholic Faith Literacy. STAR Reading™ is an assessment of reading comprehension and skills for independent readers through grade 12. STAR Reading tracks development in five domains: , Word Knowledge and Skills , Comprehension Strategies and Constructing Meaning , Analyzing Literary Text , Understanding Author’s Craft , Analyzing Argument and Evaluating Text. STAR Reading Spanish™ is an assessment of Spanish reading comprehension for independent readers from grade levels 1–5; however, it can be administered to Spanish speaking students at grade levels 1–12. STAR Reading Spanish tracks a student’s: Spanish reading level, Spanish ZPD for independent reading practice of Spanish literature, Spanish reading growth and overall progress. STAR Math™ is an assessment of math achievement for students in grades 1–12. STAR Math tracks development in four domains: Numbers and Operations, Algebra, Geometry and Measurement, Data Analysis, Statistics. Students in grades TK-3 take the Early Literacy test. Students in grades 1-8 take the STAR Reading test. Students in K-8 take the STAR Math test. Students in 4-8 take the STAR Spanish test.